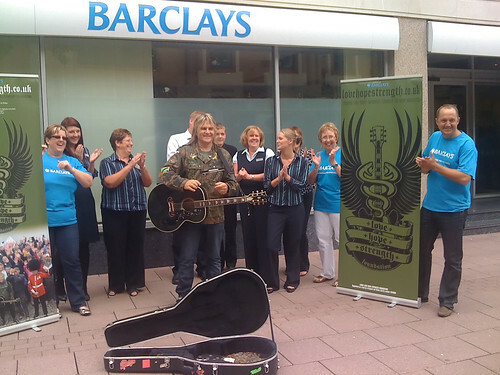 Mike Peters of Welsh rock and roll band The Alarm joined forces with Barclays Bank in Queen Street, Cardiff to host the first ever Barclays Life Support Day in partnership with what is now the world’s leading rock and roll cancer charity Love Hope Strength Foundation which was co-founded in Wales by Mike Peters (himself a two times cancer survivor), in 2007. 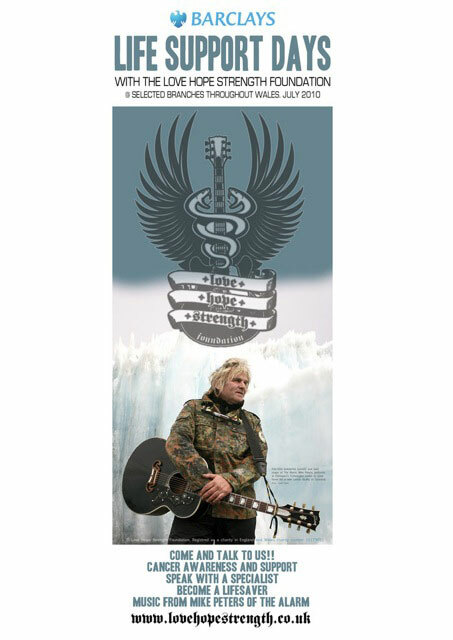 Peter Vickery – Regional Director, Wales & West of Barclays says “People come to Barclays because they trust the security of our bank and hopefully with this new partnership with Love Hope Strength then we as a bank can show our customers that as well as their financial well being, we care about their long term health and safety too. 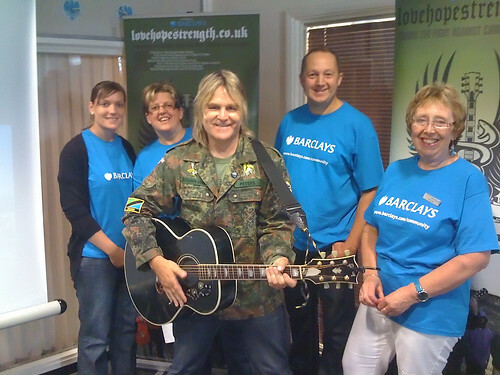 This is a fantastic eample of how Barclays supports the communities we operate in”.